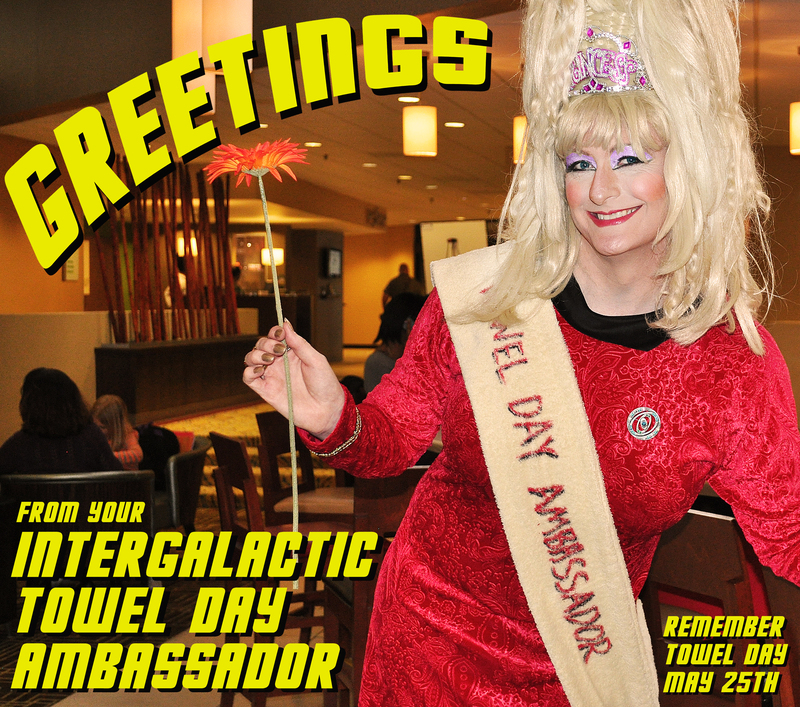 Intergalactic Towel Day Ambassador 2013! A Towel Day Ambassador's work is never done and though she was appointed in 2013 the role lasts for a lifetime! If you would like to know more about Towel Day, a day to celebrate the late, great author Douglas Adams, please contact Moxie, or join her on facebook! My Towel Day Campaign Video!